She's crafty: What a weekend!!! Holy cow...we had a crazy weekend. Even crazier than normal!! 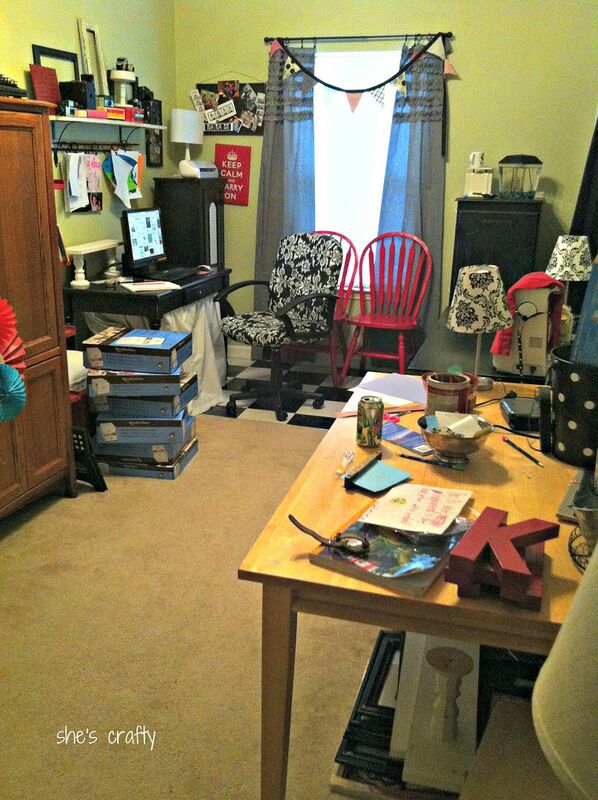 Thursday I innocently :) decided to tear my office apart and reorganize!! I found an amazing deal on these organizers (1/2 price at Michaels) and was so excited to put them together and organize everything! 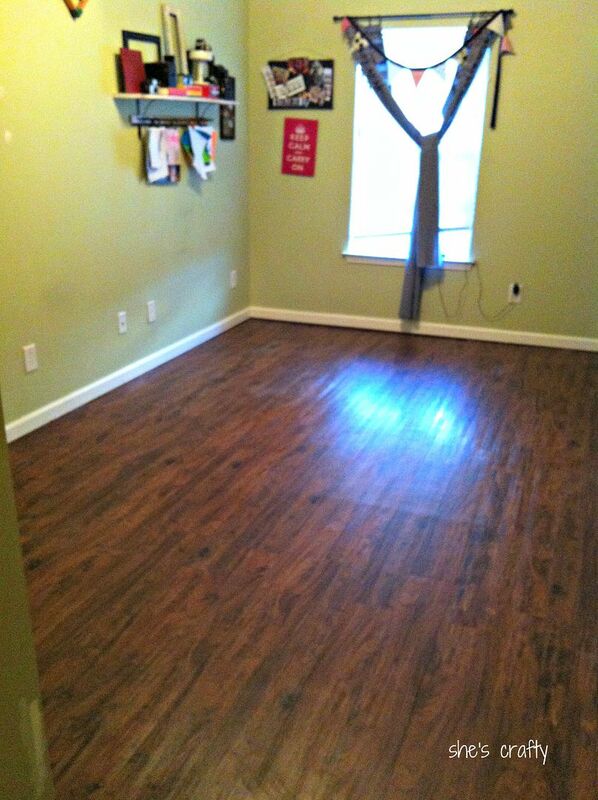 For a while now, maybe a few years, I've been mulling over flooring ideas for this room. I don't like the carpet. I wanted something that was wipe able since this is the room we do art projects and crafts. So before putting in my new organizers, I decided to do vinyl wood tiles. 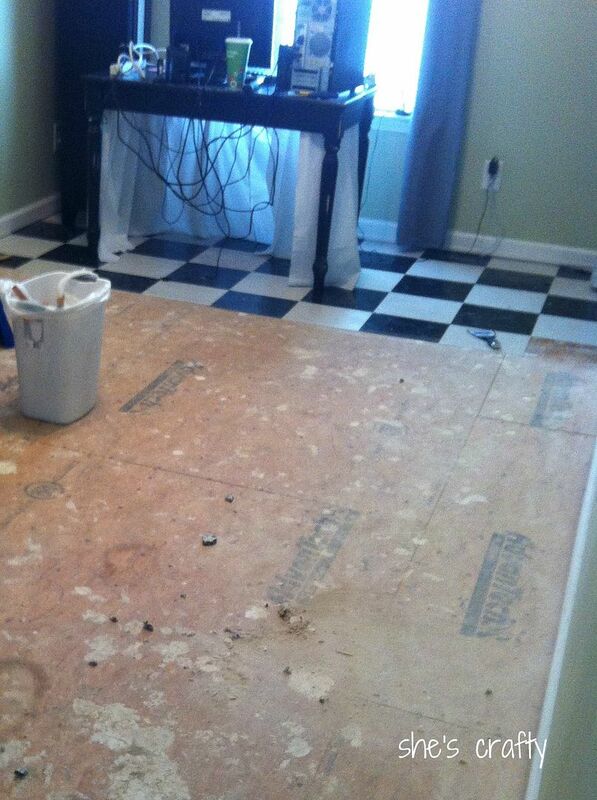 (I'll do a post about the flooring I chose soon) I took out all the furniture and ripped up the carpet. And then my husband called me from the airport. He travels for business and flies home every weekend. But this trip home, something went wrong and he passed out and got super sick. It was so scary! My husband is big and tough and never gets sick. Plus he's flown hundreds of times and hasn't ever been gotten motion sick or anything. So I picked him up and took him to the ER. The doctors ran a bunch of tests and diagnosed him with vertigo exacerbated by a sinus infection he's had since January. Poor guy. He's supposed to be off work for 5 days. We'll see if my work-a-holic husband can handle that. Everything was torn apart and my kids could barely get into their bedrooms because of all the stuff piled everywhere, so I had to finish the floor. I was pretty strict about my husband not helping and made him rest through most of it. Ok- why did I wait so long to do this to the floor. It turned out awesome!!!! And the best part of all? It only cost $200 and I did it all myself in 1 day!!! Saturday my son was trying to brush his teeth and couldn't grip his toothpaste. 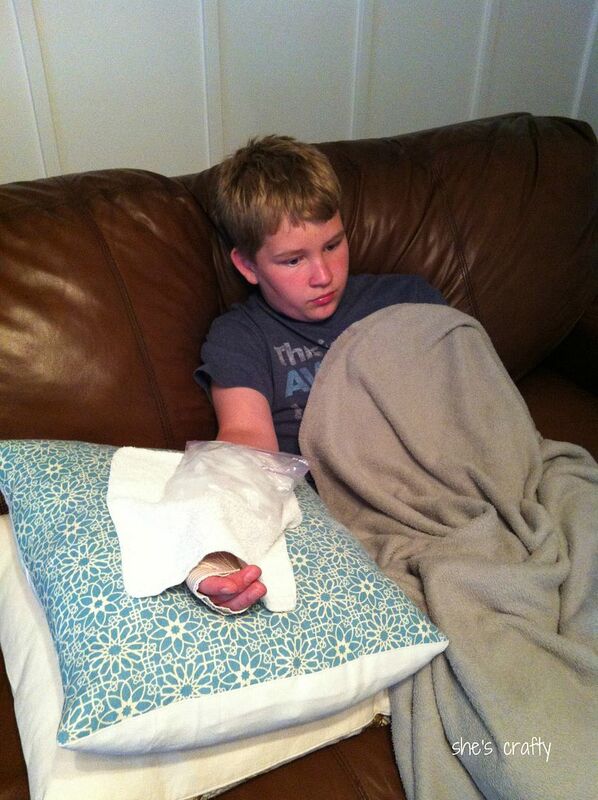 When questioned, he mentioned that he'd been pushed off the slide at school on Friday and his wrist hurt. What???? 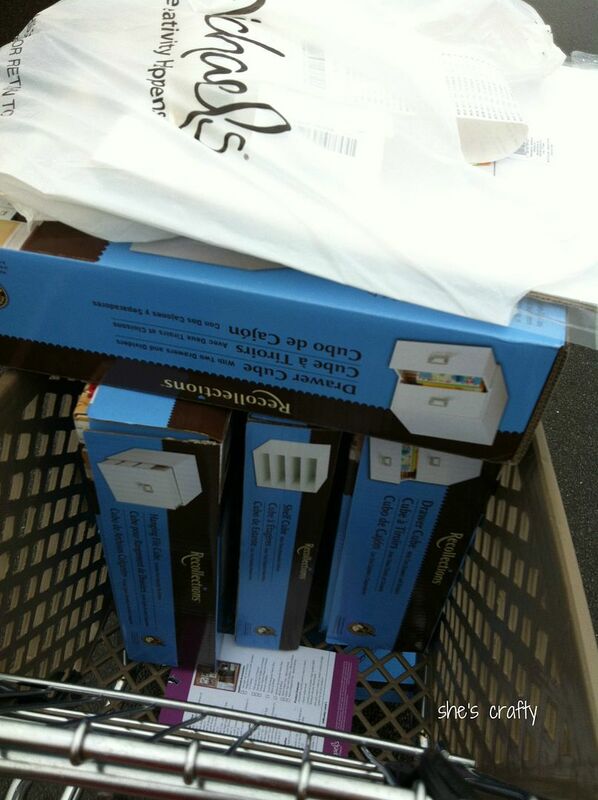 I felt like mother-of -the-year! In my defense, he didn't say anything at all about arm pain and was playing video games on Friday night just fine. 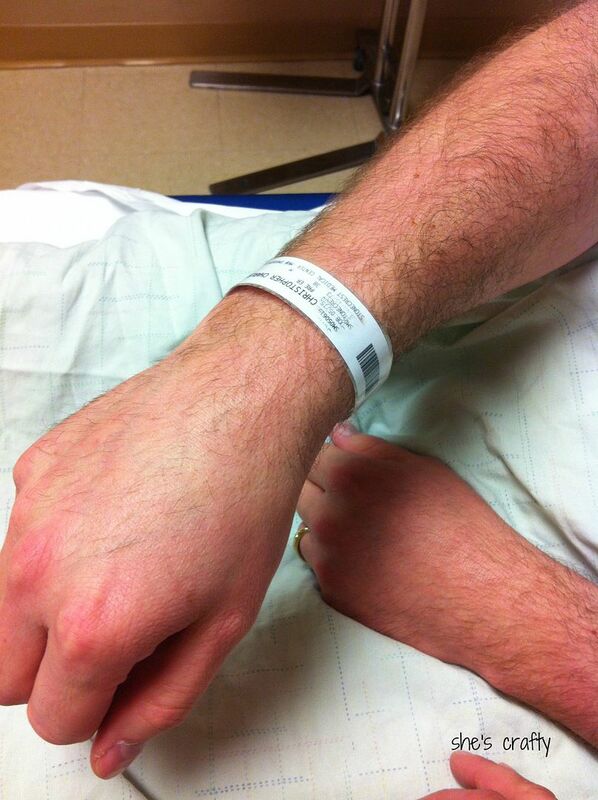 After a motherly evaluation, we made another trip to the ER to get a wrist xray. Turns out he has a bad sprain. So he's been layed up keeping his wrist immobilized and on ice. He's starting TCAP (Tennessee's standardized testing) this week and is right handed so hopefully he'll be able to manage it. So that was our crazy weekend- a new floor and 2 trips to the ER. How was your weekend? I love how you just decide you want something done, and then do it yourself. You're like every guy's dream wife! The floor looks great.